Image used for illustrative purpose. Space satellite orbiting the earth on a background star sun. Elements of this image furnished by NASA. Egypt will launch a satellite with 70% to 80% Egyptian components in cooperation with the Japan Aerospace Exploration Agency (JAXA) in July 2018 Egypt’s higher education minister Khaled Abdel Ghaffar said. 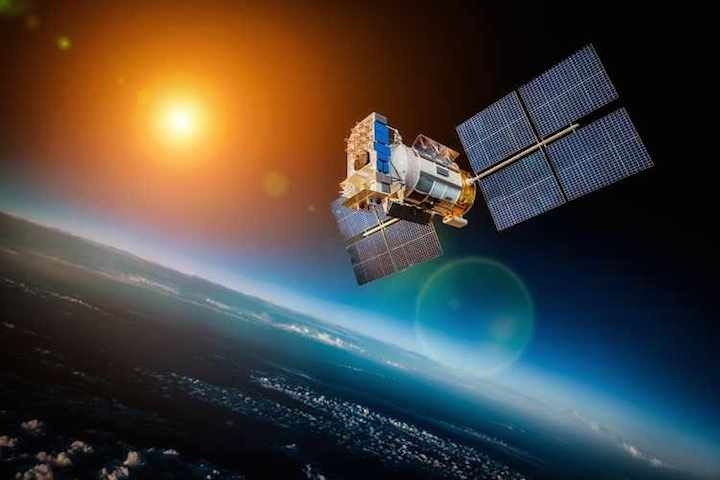 The satellite’s control unit was implemented by Egyptian engineers at the remote sensing agency, Abdel Ghaffar added, noting that an Egyptian-manufactured camera will be installed on the satellite. He remarked that almost 30 Egyptian engineers are participating in this project, and that the camera resolution Egyptian-manufactured components will be tested after launching the satellite. Egypt will export the new technology after the success of the satellite, he indicated, adding that the current cost of the satellite and training are not huge, compared with the estimated revenues. The minister also announced that Egypt will start establishing a complex for satellite collection on the Suez Road, and the first phase of the Egyptian Space City is scheduled to be completed next year in collaboration with China. The percentage of the Egyptian parts in satellites are likely to reach 100% by 2022.